Have you ever heard of Souse? 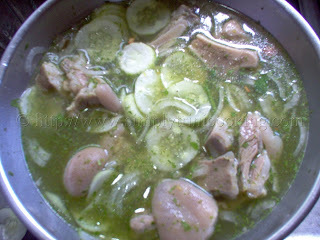 Souse is a way we Trinis pickle meat or trimmings, usually pig’s feet, cow tongue, chicken feet etc., by marinating it in water, seasoned with onions, cucumbers, pepper, salt and other seasonings. the process is simple and doesn’t take long to prepare. 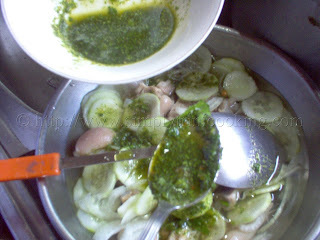 The marinating is also short, as compared to overnight marinating that some recipes require. 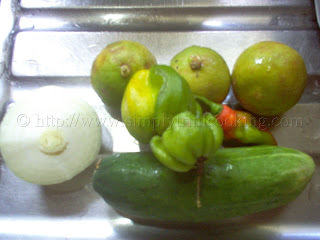 This is one of our favorite “liming” foods that’s popular at bazaars, harvests, football competitions, family day celebration, parties, and fetes (even the all inclusive fetes) , in fact anywhere there is a lime, look out for souse, you just can’t miss it. This favorite appetizer and crowd favourite always sells out. Lovers of this dish, including myself, could never get enough of it. 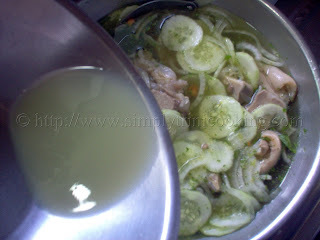 Probably it is the marinated cucumbers, lime juice, hot pepper and Chadon Beni that give it that unique flavour or possibly, I hear that when drinking, the salt from the souse “cuts” the alcohol and you take longer to get intoxicated. Nevertheless, this is a dish worth trying especially if you’re liming (hanging out) with some friends and you’re having a drink or two. It will truly complement the occasion. Clean the meat and soak it in some water and lime. Season the meat with some green seasoning, garlic and onion. Pressure cook for about ½ hour or until the meat has fallen off the bone. 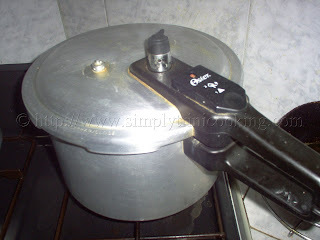 Remove from the pressure cooker and place in a bowl. Pour water over the meat about three times to wash out the excess oil. Place meat in serving bowl. Pour cold water over meat to cover. Arrange slice onions, sweet chilli peppers stripped, hot green pepper finely cut over meat. Pour some more green seasoning over it. 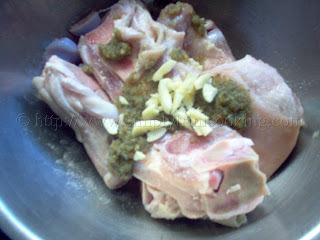 Leave to marinate for about 2 hours before serving. Garnish with sprigs of fresh crisp watercress (optional). 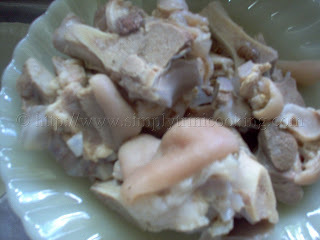 Pigfoot souse served and ready to enjoy. 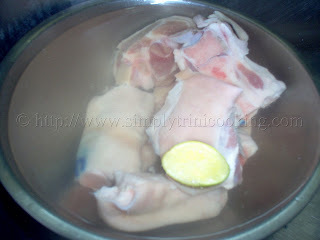 * This process could be used for any kind of meat to make souse. Some meats may not need to pressure cook just boiled. Well that’s it for this post. In my next post look out for a wonderful, refreshing fruit drink. I thank you Val for your comment. This is a labour of love with a purpose. Feel free to visit again. 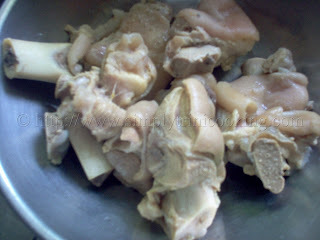 I live in Trinidad.My friend asked me to make some souse for his birthday party he is having this weekend and I will be using your recipe.Love the pics. and the intro. you give to each dish before the actual recipe itself.Keep up the good work and keep on adding more recipes.Thanks for a wonderful site. P.S.I am making it using cow heel but he has this thing for hairs on meat(he doesn’t like the fine hairs that are sometimes on the skin)He wants me to take it off.Can I do this by passing it quickly over an open flame? (stove burner? )Would this be okay?…lol.Thanks. Thanks a lot for your comment Chris; much appreciated. Burning the hair off is one idea, but then you may lose control and burn too much which will affect the taste of the souse. The better option I find is to use a razor. 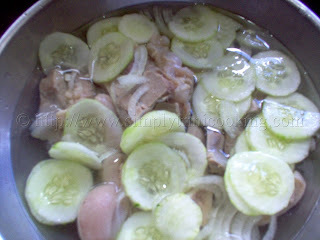 It may be a little time consuming but in the end, your friend will congratulate you for a great tasting souse. Have fun at the party! 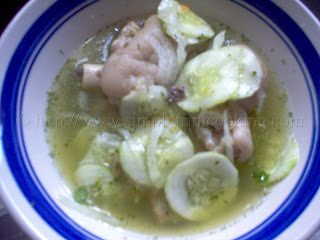 A pregnant Trini living in the US, I have been CRAVING souse. Thanks for this recipe! I’ll be making myself some this week. Mom was a great cook…unfortunately, she passed on in Canada, and leaving me helpless to learn to cook “Trini” food…Googled one day a few months ago…and found “Simply Trini” website…subscribed to this for my daily “fix”…Thanks for that!! 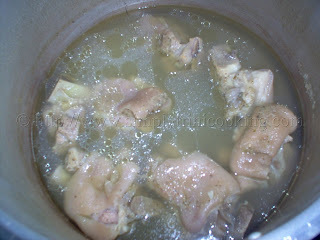 Just tried making the “Pigfoot Souse”….so delicious….Thanks so much!!!! Luv this site!!!! Cheers from TO, Canada!!! I have a question where it says Blend chadon beni and seasoning pepper to make green seasoning what is the seasoning pepper? 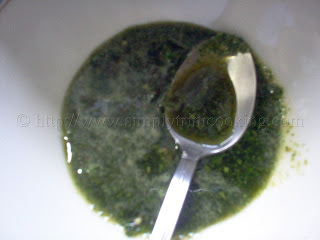 Is this green seasoning the same as the one we use to season meats or is it something different. 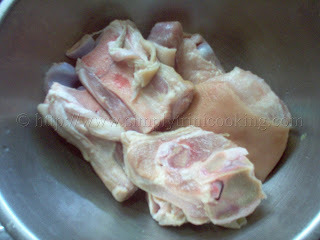 Also can I cook the pig feet without a pressure cooker? I just referred to the seasoning as a simple green seasoning for simplicity sake but it is not like the green seasoning we make for meats. That one has more ingredients. 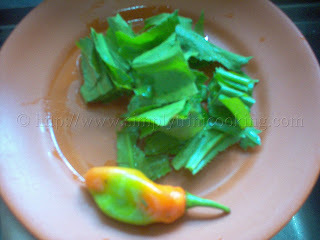 Seasoning pepper is a mildly hot pepper we use in the green seasoning mixture. 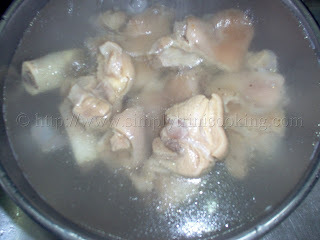 I would not recommend cooking pig’s feet without a pressure cooker. It would take a long time to get soft.